As you probably already know by now, that holidays are an excuse for me to pack in ALL THE THINGS! Cheesy or not, I cram in the gingerbread house making, hot cocoa pouring, Christmas music playing, cookie baking, pretty wrapping, and anything else that exudes the holidays that I can think of. And trust me when I say, (my family can attest to this) I do it EVERY year. If you guys are with me, you’ll love today’s post. 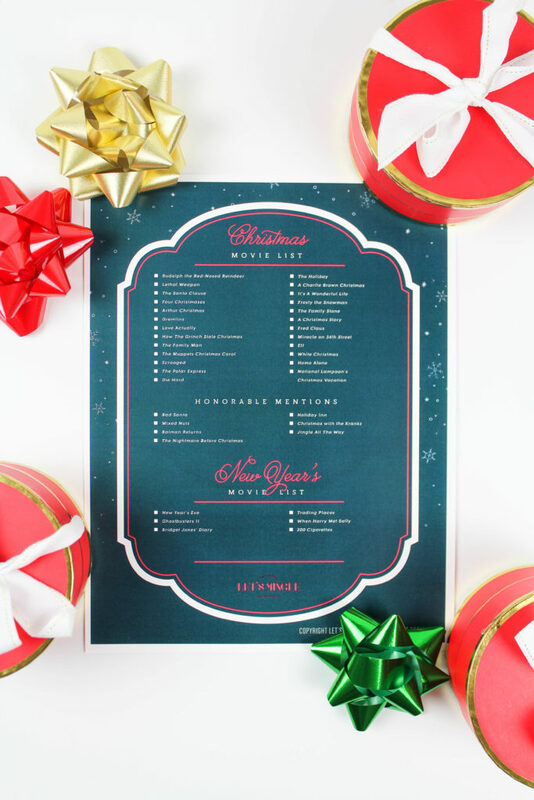 I have been making movie lists for years, but this time around I figured I’d create a fun and easy printable Christmas movie playlist that you can share with friends, family, or just hoard all to yourself. It would also be really fun to participate with long distance family or friends as a way to share some holiday cheer together! This festive printable christmas movie list will cover all the bases for the next 25 days, and I even threw in some extras to take you into the new year too! 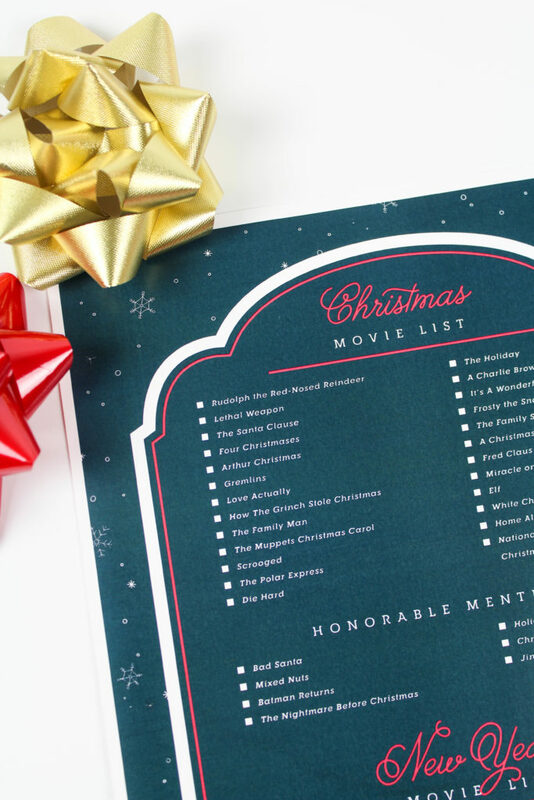 The movies are a mix between classics, kid-friendly fun, and a few adult movies are in there too, because we know the guys will need some incentive to watch with you. 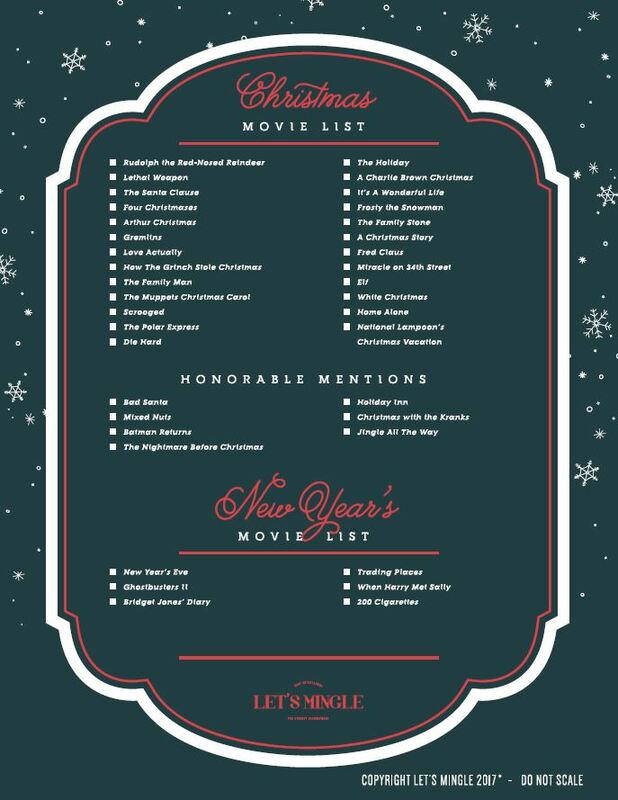 There are also some bonus holiday movies, that didn’t quite make the list, but were too good not to add. So feel free to pick and choose your favorites or take on the challenge and watch them all! 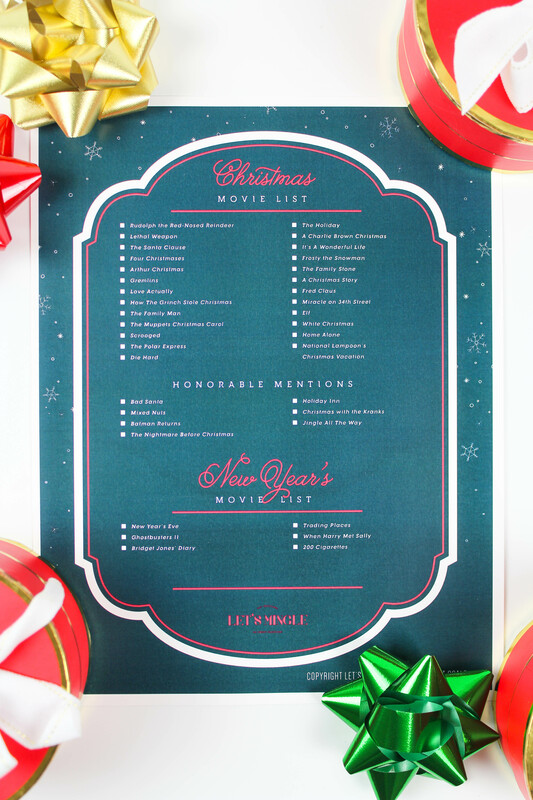 You can download and print the Christmas movie list file, or you can pin the image below to save for later too. Let me know if you guys are watching along with me!